There are many amazing things to do in Bristol all year round and Easter is certainly no exception. Easter is one of the most exciting bank holidays of the year for children and Bristol is jam-packed with activities over this long weekend. It’s a great time to do activities with the whole family, with lots of events happening around every corner of the city. 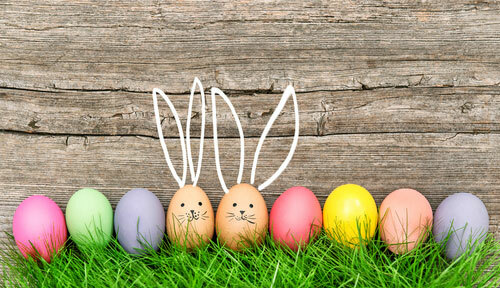 Most shops are offering great Easter deals and discounts and parks and museums have planned out some really great Easter themed events. If you are planning to celebrate the Easter holidays in Bristol, we have curated a list of things you can do with your kids this weekend. Without a good egg hunt, Easter is just incomplete. Kids just can’t seem to get enough of hunting for hidden clues and following the Easter trail to find the Easter Egg treasure. Several gardens, parks, and farms are putting unique Easter trails for kids and adults to enjoy and participate in. If you want to hunt for something different, there is an Easter Duck Hunt that WWT Slimbridge Wetland Centre is hosting. There is also an underground glow-in-the-dark egg hunt at Cheddar Gorge & Caves. And an Easter flamingo trail in Bristol Shopping Quarter. Whichever trail you pick for your family’s Easter egg hunt, we are sure you will definitely have such an enjoyable and memorable time. If you want an educational adventure with your kids this Easter, why not go to Bristol Zoo Gardens. Over the holidays, Bristol Zoo Gardens have set up Easter activities all over the zoo. Activities such as the ‘Guess Who? Eye Trail’, wherein you have to guess which animal do those eyes belong to. Another fun Easter trail is the Egg Discovery trail, where you have to find out which animal lays the eggs of the eight different species of egg stickers you are initially given upon arrival. With these Easter trails, you get to have fun and learn fun facts. A one of a kind adventure awaits children who want to celebrate Easter in Wild Place. For this year, the Easter festivities in Wild Place are set in a theme of ‘Enchanted Woodland’. They have incorporated Wild Place Woodland fairies to help children hunt for the Easter bunny and the eggs he has hidden all over the park. There are challenges that the children can participate in at the Barefoot Trail and there is also a Magic Wishing Tree where anyone can write down their wishes and post for the fairies to see. The popular Puxton Park has prepared lots of Easter activities to amp up the fun. Enjoy the park’s amenities while participating in Easter scavenger hunts and arts and crafts. A new High Ropes Course is also having its grand opening within the week so book your tickets now. Baby dragons and majestic dragon handlers are visiting the Berkeley Castle this Easter weekend. You and your children can join the annual Easter egg hunt and discover hidden dragon babies along the way. Meet with dragon handlers and listen to their stories while having a scrumptious Easter treat. The event runs from March 30th to April 2nd to take part in the special activity. For even more things to do in Bristol this Easter Weekend, the Bristol Post and Visit Bristol have put together these handy guides. Of course, if you were thinking about actually moving to Bristol, maybe you’d be interested in reading our fabulous and comprehensive guide to moving here, as well as our five important questions to ask yourself before you do.